Bro. Pat and Sis. 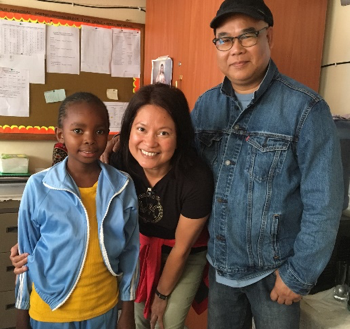 Marissa Carlos, CFC leaders from Vancouver, originally planned to take a short vacation to South Africa, but God led them to change their plans, they flew to Kenya instead. 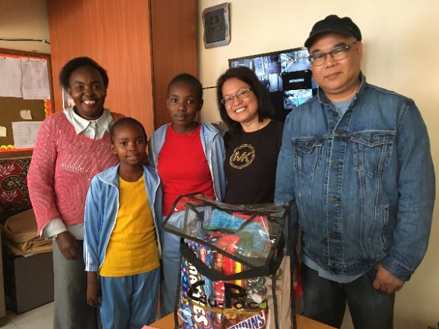 That change of plans paved the way for them to meet their sponsored child, Grace (not her real name) on October 19, 2018 at the Basilica Church in Nairobi where the school of the child is located. When Ancop Kenya was informed about their visit, they looked for ways to arrange the schedule of Grace since most of the children in Kenya are preparing for their National Examinations. The Carloses also met the mother and older sister of Grace. It was not just a mere meeting of sponsor and sponsored but it was a meeting of two families, filled with joy and love where hugs and smiles were shared. The sponsors were filled with happiness upon knowing that Grace is excelling in her studies.Grace’s sister who is also under ANCOP’s sponsorship program is likewise on top of her class. Grace and her siblings were single-handedly raised by their mother after their father died when they were young.